Have you noticed how almost every “sales & trading” article focuses on trading rather than sales? We’ve covered sales in the past, but most S&T articles have been trading-related. But it’s a mistake to ignore sales completely, especially since it might have a brighter future than trading. Q: To start with, can you walk us through your story? A: Sure. I’m originally from “a smaller European country” and attended a non-target university there. My father is in the asset management industry, and I became interested in finance after hearing about his work and his clients. I started out majoring in economics in university, but I realized that accounting and finance were more useful, so I began picking electives in those areas instead. I applied to banks in continental Europe, interviewed for both investment banking and sales & trading roles, and won an offer for an equity derivatives sales internship in Frankfurt, which I accepted. The other interns went through the formal process and submitted applications to get in, but I was at a non-target school, so I had to rely on networking instead. Q: And what did you do to network? A: I looked up alumni and traders via LinkedIn, emailed them, and also got some referrals from friends and family. Then, I used your email templates and sent each person a short message describing myself and asking if the person had any tips on sales & trading roles. Several of them responded positively, and I won interviews from that effort. Q: OK, so what types of interns are they seeking? Who wins these roles via the formal application process? A: Most of the sales & trading interns had attended schools in France, Germany, or Italy, such as HEC, ESSEC, Dauphine, Bocconi, and Mannheim. About 90% of the students were German, and 10% were French. For Sales, you need to be 100% fluent in German because many clients are institutional investors in Germany who prefer using the local language. You don’t need the language for Structuring or Trading, so those teams are more international. As in any other S&T role, you have to be “enthusiastic about the markets,” which means that you need to know the details of specific products, such as certain derivatives, quite well. Q: What about the process and specific interview questions? A: The process began with the two most senior professionals on the desk asking me questions. After that, I met with all the junior people on the team. The questions were very standard: Why sales, my strengths and weaknesses, and my ideas for stock pitches and investments. They asked about exchange rates, average P/E multiples for different indices, and ideas for investing €1 million, but there were no brainteasers or math questions. Trading and Structuring interviews are significantly more technical. Interns there received questions about payoff diagrams for different derivative structures, the Black-Scholes Model, the Greeks, and hedging methods. Some of the Structuring interns had also completed multiple internships previously, which might explain the more advanced questions. If you have more experience, or you’re applying for more technical roles, I strongly recommend the classic John Hull reference, Options, Futures, and Other Derivatives. What was an average day in the internship like? A: First, I want to note that I worked in a very quiet period on the trading floor. My internship included one of the least volatile 30-day periods for major indices. 7 AM: Woke up, quickly ate something, and got ready. 8 AM: Took the tram to work. 8:30 AM – 8:45 AM: Arrived at work; I was usually the third person on my desk to arrive. I always got coffee and asked everyone else if they wanted any. 9 AM: The German market opened, and the traders began their tasks. Presentations on different derivative structures, such as straddles, strangles, and butterfly spreads. Calculations in Excel – These were often related to the presentations. Client Requests – Sometimes clients asked us for more information on a certain structure or strategy, so I helped the full-timers find it. 12 PM: Most client requests arrived by 12 PM, so for the first ~3 hours of the trading day, I multitasked between my projects and sending live pricing requests to our team in London. 12 PM – 1 PM: It was very quiet on our desk over the summer, so I usually went out to lunch with team members. I made sure to go with each person at least once. 1:00 PM – 4:30 PM: Client requests slowed down in the afternoon, and the salespeople and traders were off doing their work, so I continued with my projects or shadowed other desks. They let me observe the structuring, pricing, flow trading, emissions, and ETF desks, among others. 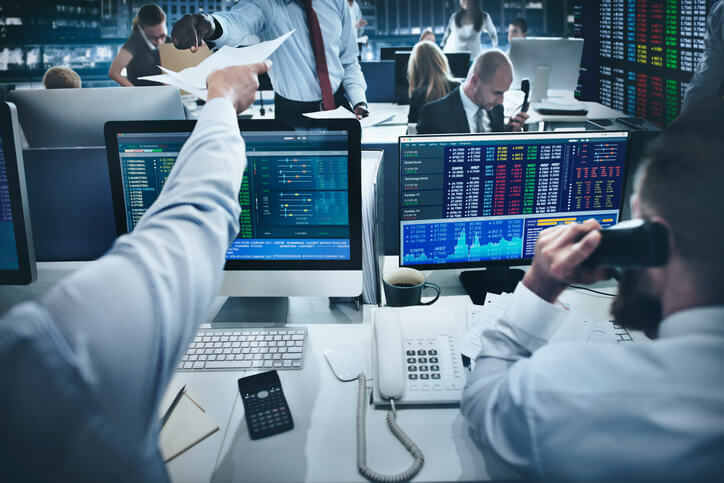 4:30 PM – 5:30 PM: I usually had some time left to come up with a weekly trading newsletter, which I sent to our desk so they could circulate it to institutional clients. 5:30 PM – 6:00 PM: The market closed, so I left around this time. I always waited until others left first or until senior salespeople said I could leave. Toward the end, I also started going out with my colleagues to get drinks after work. Overall, these were very light hours and were not representative of a typical S&T internship. Trading and Structuring interns worked ~3 additional hours per day, usually arriving before me and leaving after 8 PM. You’d also work more than this in a full-time role because you’d have client meetings after the close of the market. Q: You mentioned that you couldn’t trade or interact directly with clients, so how did you interact with them? A: Awkwardly! Everything had to be forwarded by full-time employees. In many cases, I sent pricing requests to the London pricing team using the bank’s specific program, and then the full-timers forwarded them to the actual clients. And then I had to wait for the client’s forwarded reaction before doing anything. My team served the German-speaking countries and Eastern Europe, so many of our clients were German and Polish banks and institutional investors. We didn’t do much work with pension funds or insurance firms because they needed tailored products with much longer-term investment horizons. Since I couldn’t interact with clients, they gave me a lot of non-client work: For example, I had to pick three derivative structures each month and create presentations with payoff diagrams to explain them. They just wanted to verify that I understood the concepts, so I didn’t have to value the options using Black-Scholes or other methods; the math was quite simple. They asked a lot of questions about which structures were attractive under different conditions, such as falling or rising interest rates or high volatility. Q: I see. Any thoughts on how to perform well and receive a return offer? Prepare by learning the different products and reading extensively. Check out the other desks and make sure the people there know you. Write down everything, especially in the beginning. Strike a balance between being sociable and being reliable. For example, go to events and social gatherings, but don’t drink much or avoid drinking altogether. The chances of getting a full-time return offer in S&T vary tremendously based on market conditions – much more so than in IB. So, if your bank is firing people or a new regulation comes along, you might not get an offer even if you’re a top performer. Sales & Trading: A Long-Term Future? Q: On that note, you mentioned that the hiring environment at your bank wasn’t so good. What were the main problems? A: First, continental European banks have been troubled for a while; southern Europe is worse, but there are problems in Germany as well. Second, the MiFID (II) regulations in the EU impose a lot of restrictions on equity derivatives and limit the number of structures banks can sell to clients. We can’t do as many customized deals, and institutional investors will trade far less with banks as a result. Also, asset managers will be forbidden from pricing in a certain margin on our products, which makes frequent trading less attractive. Certain asset managers already have to inform their clients of profits earned from purchasing derivatives, but pricing will become even more transparent in the future, and trading frequencies will decrease. Because of all that, people on the desk were not too optimistic about their long-term prospects, and the bank hired only a few interns. Q: And do you want to return to this role in the future? A: I’m more interested in sales than trading – wining and dining clients, or even chatting with them on the phone, is more fun than staring at 5+ screens all day. With that said, I do want to apply for a few other areas within sales & trading to compare and contrast different desks. I’m also interested in working in London because there are far more S&T opportunities there (even post-Brexit). Q: Great. Thanks for your time!